Goalkeeper Stephanie Labbé has been released after the Spirit elect to not retain her rights. Wednesday afternoon the Washington Spirit announced they would not keep long-time goalkeeper Stephanie Labbé’s rights. With preseason starting soon, Labbé had not shown any indication of re-signing with the team. With almost 50 caps for the Canadian Women’s National Team, she’s an incredibly solid keeper. 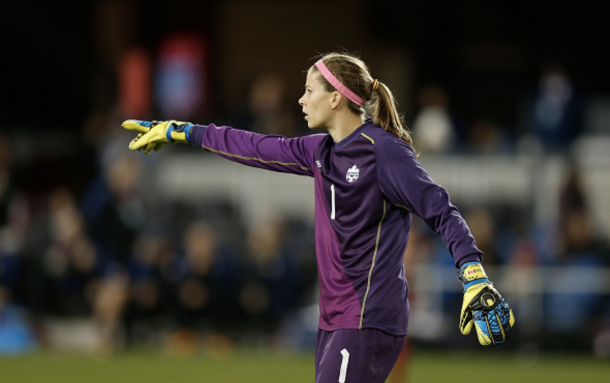 After previous starting keeper Erin McLeod suffered an ACL injury, Labbé took over for the 2016 Rio Olympics, seeing them to another bronze medal. Most recently, she just received a call up for the Algarve Cup in Portugal set to start at the end of February. She joined the Spirit in 2016 and played a total of 25 games. She also earned NWSL Save of the Week in week 11 of last season and was apart of the Team of the Month for April. In September of 2017, Labbé elected to take time away from the team, which was stated as a medical leave of absence. No further explanation was given from Labbe or the club. Many were unsure of Labbe’s return to DC after the Spirit made a trade with the Orlando Pride and received Aubrey Bledsoe. Bledsoe was a key part in getting the Pride to playoffs, and Kelsey Wys signed a new contract back in November 2017. Nothing has been floating around of what Labbé’s next move will be. It’s hasn’t been assumed she will retire, but the European transfer window closed at the beginning of February. NWSL teams have until February 15 at 5PM E.T to pick up her rights. Teams like the Houston Dash and Seattle Reign are currently goalkeeper heavy, so it’s safe to assume those teams will pass. The Utah Royals also just picked up ex-Boston Breakers starter Abby Smith. It is extremely unsure if Labbé will stay in the states considering the amount room left for her. ATP Estoril: What do you need to know about this year's edition?